Caroline Williams started out in the travel industry. She then went on to live and work in both Spain and Switzerland, and has visited many other countries. In the mid 90's Caroline studied interior design and decor and progressed into using these skills to transform room and furniture with make-overs. However, as much as she enjoys this side of her work she finds the greatest sense of achievement in helping people clear their clutter. 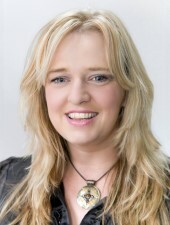 Caroline is an organised, energetic, enthusiastic individual who is highly motivated. She has excellent inter personal skills and shows great commitment and drive in her work. She is empathetic and caring and has until recently commited a lot of time in the last two years to being a carer. She holds a Level 3 Diploma in Design and Craft, Centre Certificate in Interior Design, SNHS Diploma in Colour Therapy, Certificate in Feng Shui Coaching (Marie Claire Carlyle), Noble Manhattan Certificate in Life Coaching. Caroline lives on the Wirral and covers Merseyside, Cheshire, Lancashire and North Wales.